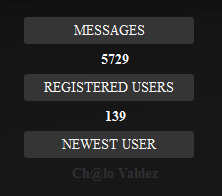 Forum description: A free To all chat site with lots to talk about. We are a small but happy little site that would like to get to know more of you in here. Free Affiliates for anyone that is a member but must have 3 posts or more. Why not hop on over and have a chat? Congrats thats super nice... Im checking it from my ipad everything looks perfect ..good job ! Update is now online for the forums credit store. Black Friday weekend Credit store Sale now on. Are you a member of Chat world ? All items are now 50 credits but if you hurry and order in the next 24hrs then your items will only cost 20 credits each. That's not all if you buy over this weekend your also get a free item of your choice. This offer is only a one off offer so hurry and come spend your credits. 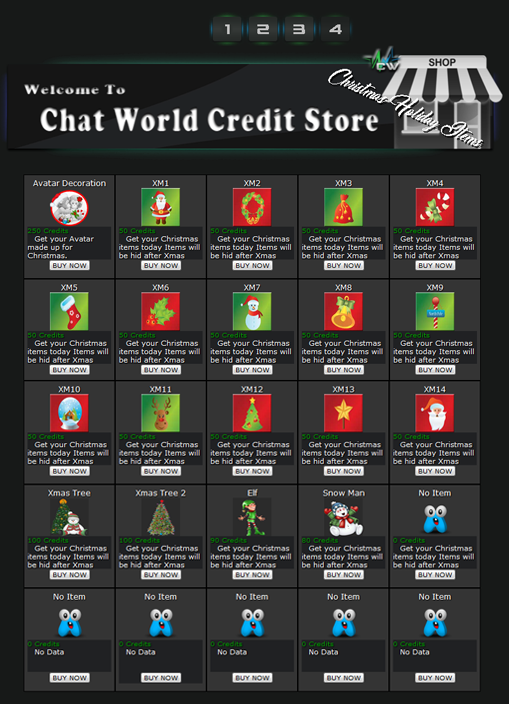 All new members that post in the Introduce Yourself & Welcomes forum and how did you find us you will get a free gift from the credit store and 100 credits added to your account as a thank you. Sounds on the chat box when not looking on that page. I like that site you have there. May even consider joining. we are now fully mobile friendly and topic it is now installed and ready for you to install on your mobile phones and tablets. We have been working hard on some great new idea's for the site. Great news is we have updated the members post profiles a little. When you hover over the Awards you will be told what that Award was gave for There is 7 basic ones right now but more will follow. We have also installed the same system to our credits store so you can tell what items you have paid for out of your credits. We are now going to open the new Group called The ideas team. We will be looking for staff member's to come up with Idea's for the site and make them happen so if you want to be a part of this then Please feel free to make an account and get things moving. 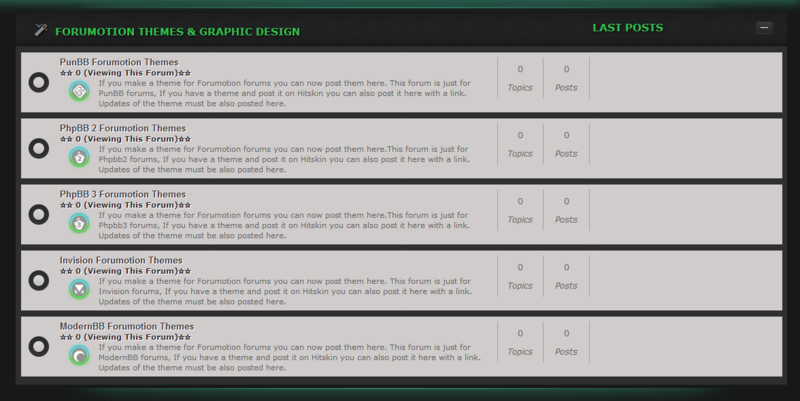 Forumotion Themes & Graphic Design secession This new forum would be to make theme and skin's for your forums. All theme's and layouts will be in hitsking but all updates to that theme will be added to out site. 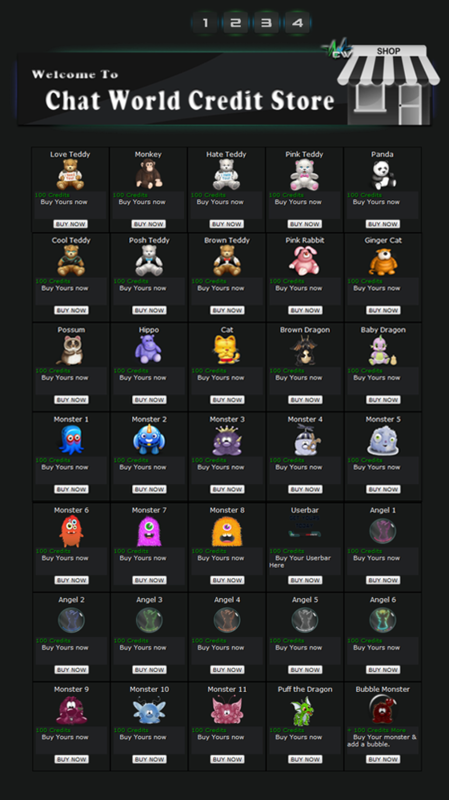 Yes chat world has gone all spooky with it's Halloween skin and banners. Free credit store item to all members but only until the 1st of November so hurry pop in to the credit store and get your free gift. only one per member please. 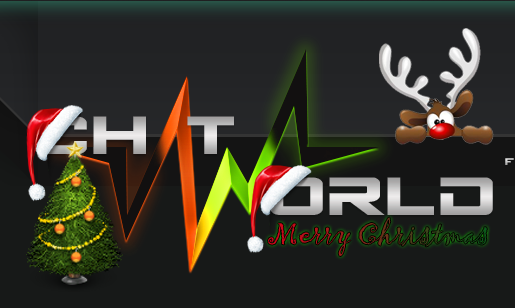 Chat world staff have been working hard to upgrade some new items on the site. 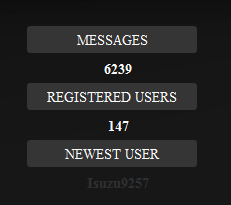 Profile items have been updated to make then fit in with the forum. New Highlight pen installed on the post Editor. Credit store has now had a facelift with new page buttons. We are also looking for 2 or more staff members to help out with The Idea's Team, If you think you can bring more to the site then why not come and have a chat with me APE on the forum. To keep in with the times we have updated our Promotions forum. A new promo forum just for them members that now have changed over to Great new ForumsClubs system made and hosted by our Host Forumotion. We have also made a new forum for help with CSS files that gives full support to our own members that have a forum of their own. Sadly our forum will closed down for our holidays on Friday the 19th April for one week or if we need more time for 2 weeks. Some old codes will be updated and some removed in this time to free up some space for new updates. We hope you like our little updates and we will be back soon with more great things for you all.